hrtech.sg covers HRTech Trends, HRTech Advisory and (what I like to make a special mention of) HRTech Marketplace – Singapore’s first, exclusive and curated marketplace of HRTech solution providers to enable enterprises to choose the best solution for their needs. Not to steal Sriram’s thunder but I had the same idea long ago. Which also goes to prove that idea is worthless without execution. The premise of HR Tech Marketplace is to provide readily comprehensive information at the fingertips of HR professionals who are looking to explore HR Tech solutions. And it isn’t just a yellow pages either. Once you click into the specific HR Tech, you get an overview of what they do, a video summary if it is available and download their brochure direct from the page. Most significantly would be the enquiry function where you can get more information and even arrange for a demo to learn more. 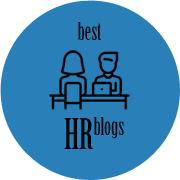 “Enterprises that focus on HRTech as part of their transformational agenda are creating sustainableeconomic value and better workplace experience for their employees. The hrtech.sg marketplace platform is to enable Singapore enterprises in their HRTech journey by providing access to one platform that would host all the cutting edge HRTech solution providers servicing the Singapore talent marketplace” – Sriram Iyer, Founder & CEO – hrtech.sg. hrtech.sg is aiming to grow the current list to 100 vendors by the end of May. And with it, the additional features to allow registered readers to provide feedback and user ratings of the apps. Essentially turning it into a Product Hunt for HR Tech. 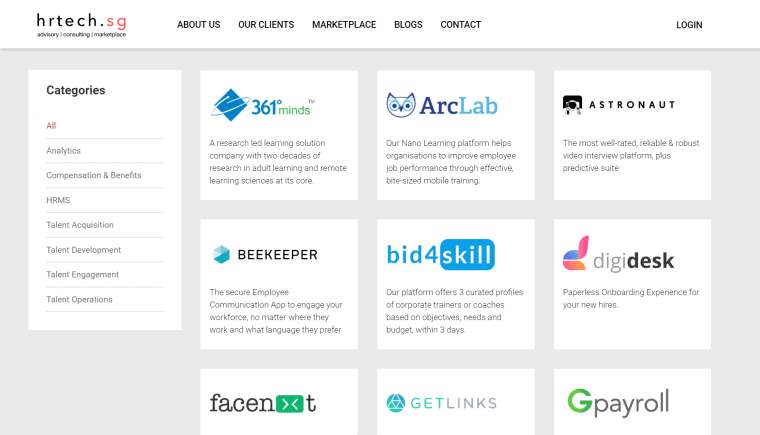 Keen to be listed on hrtech.sg marketplace? Get in touch with them via their contact form.